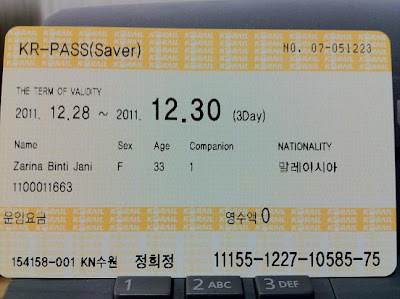 Afri and I went to Busan and Gyeongju with Korea Rail Pass from 28th till 30th December 2011 and it was rather cheap for 2 pax of 3 days travel for about 76,100 won per pax (Saver classification). If you pay individually for Korea Rail Pass it would be 84,600 won for 3 days travel and sets the difference at 8,500 won. We would save more time if travelling by plane but Afri had never rode KTX before so we decided to ride one. 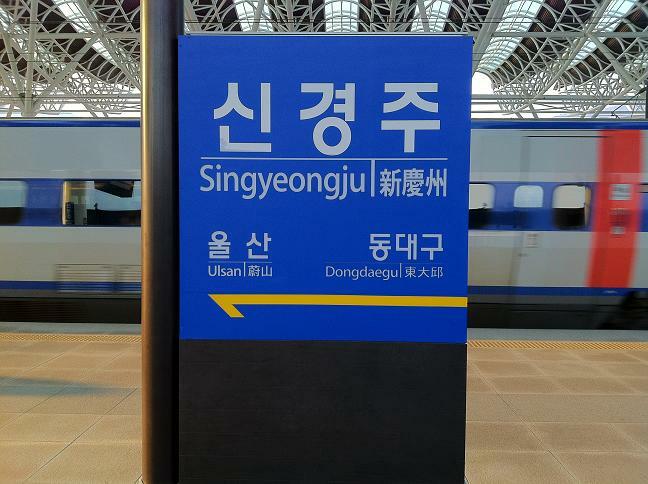 Furthermore, flight fare was more expensive as we didn't book ahead and it's holiday season so we opted for Korea Rail Pass instead. 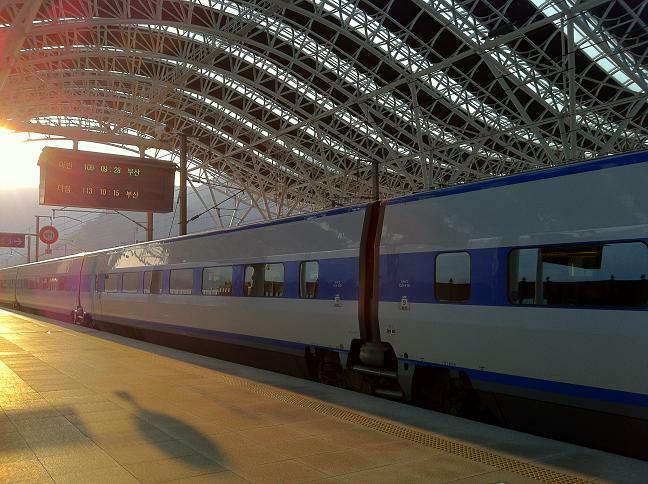 As I had rode all the three type of trains - KTX, Saemaeul and Mugunghwa; there are not much difference except for speed. 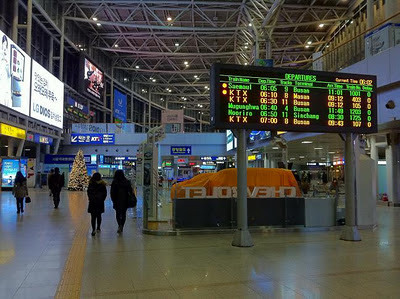 We rode the 6.30am KTX train departing from Seoul Station. 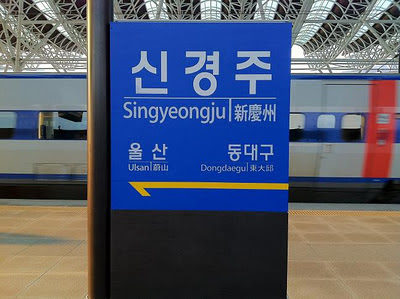 It took us about 2 hours to reach Sin Gyeongju KTX Station and 40 minutes to reach Busan KTX Station from Sin Gyeongju. 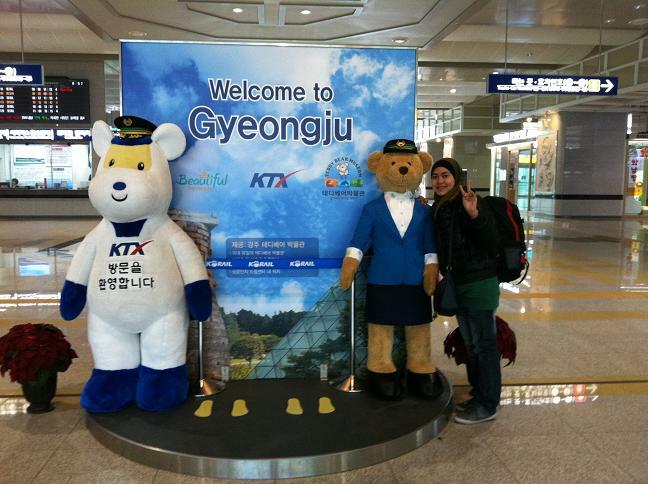 Unfortunately we only spent a day in Gyeongju and a day in Busan. I would love to spend more time in Gyeongju compared to Busan cause I had been to Busan too many times and the better part of Busan is only the beaches. Gyeongju is the remnant of Shilla Dynasty and I would love to properly explore the area. I know it sounds boring but my advice - Come during autumn or spring. Gyeongju is breathtaking!! You may buy the ticket online and I bought the ticket 2 days ahead and exchanged it to Korea Rail Pass at Suwon KTX station. 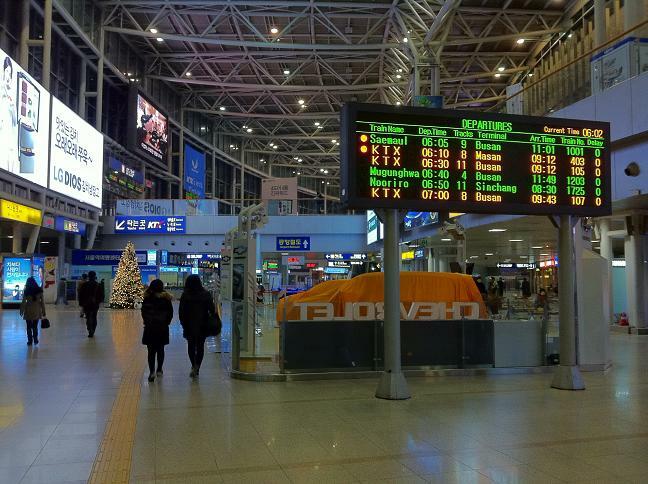 You could exchange it at any of KTX stations like in Seoul Station. The reason I exchanged it at Suwon was because we were in Suwon visiting the Hwaseong Fortress. 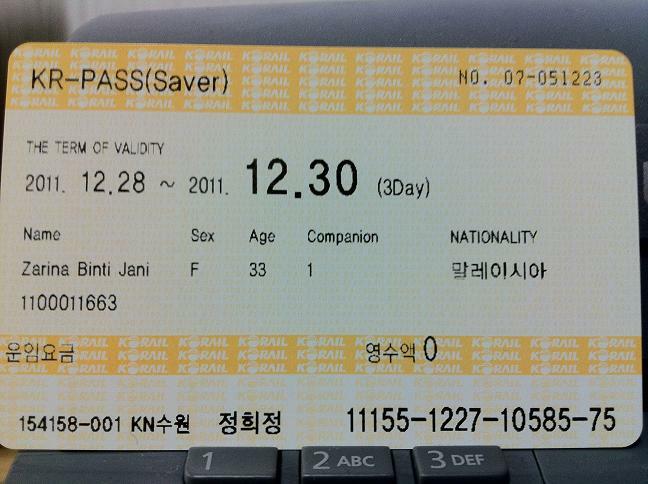 Note that the Korea Rail Pass is only for foreigners and you might get a seat or you might not. It's not a sure thing. Try not to travel out of Seoul during major holidays. 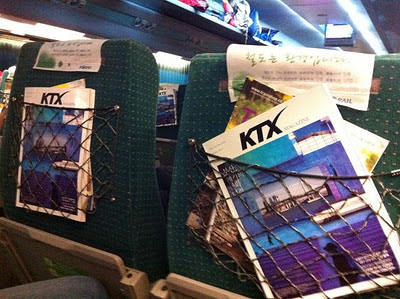 From my experience, we arrived at KTX station at least 30 minutes before departure and normally there are 100 or so economy seats remaining for booking. If you didn't get to book your desired time, just book the next departing train. There are so many of them and the trains run every 15 to 30 minutes. For more information on Korea Rail Pass click here.